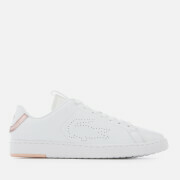 Women’s white leather trainers from Lacoste. 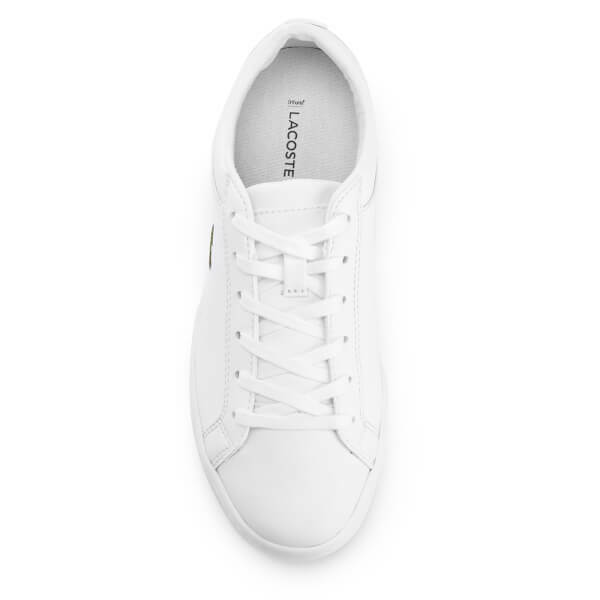 Crafted with premium leather uppers, the ‘Straightset BL’ sneakers comprise a lace up fastening with tonal laces, a rounded toe and tonal stitching. 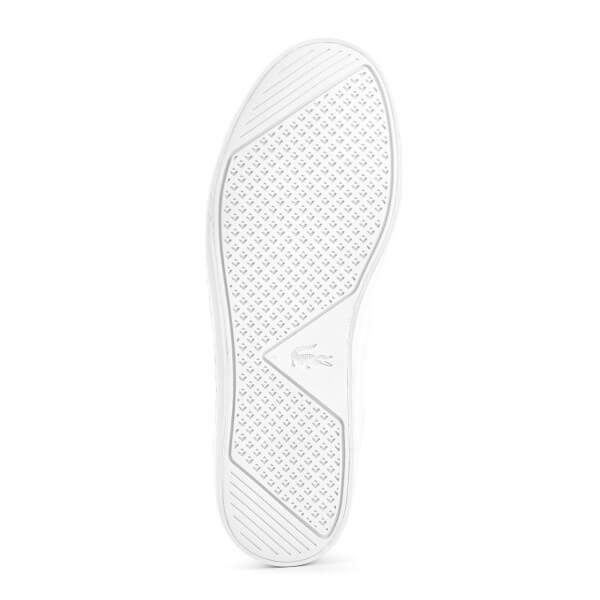 Placed upon a textured rubber sole, the trainers feature a mesh lining to keep feet cool and an Ortholite insole to offer comfort. 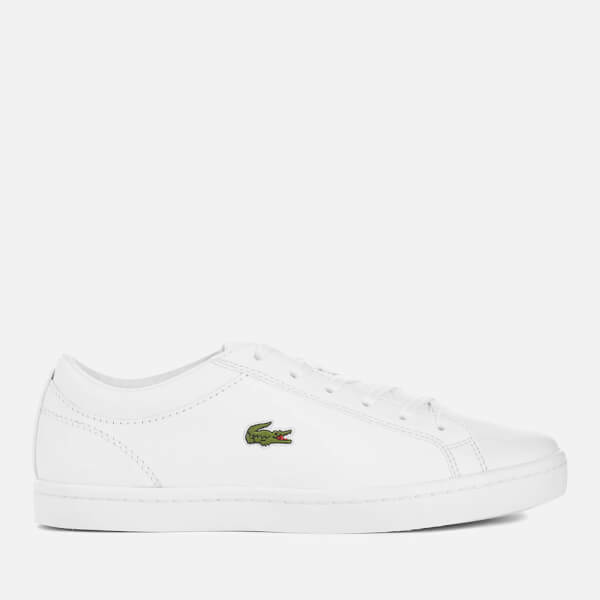 Complete with the signature Lacoste crocodile logo appliquéd to the side. Very impressed. 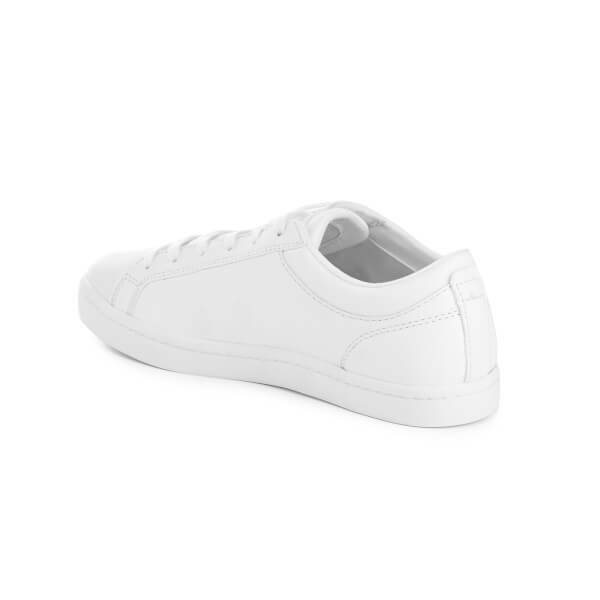 Beautiful shoe at a great price. 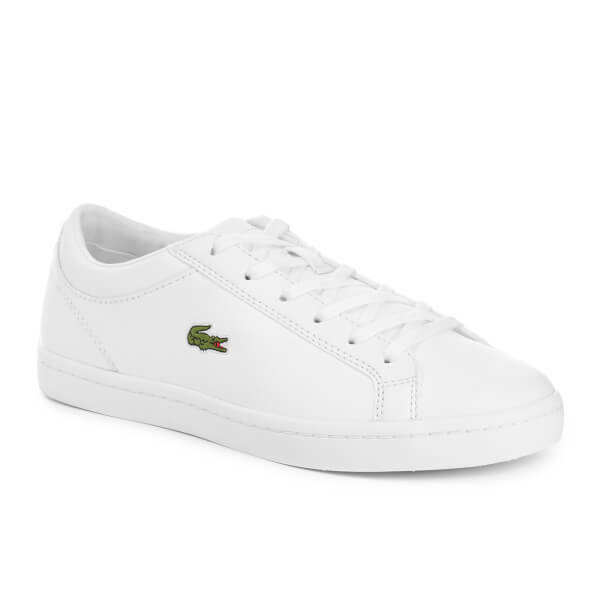 Delivered to Australia in perfect condition, on time at no extra cost.